The best packet capture and analysis appliance in the industry ensures every network conversation is available for troubleshooting and deep-dive forensic investigations. The undisputed leader in back-in-time analysis, Observer GigaStor eliminates the time-consuming task of recreating problems for troubleshooting and investigating security issues. Just hit rewind to go back in time and review past network activity. Navigate to the exact moment of the service anomaly to see detailed, packet-level views before, during, and after the occurrence. Eliminate unnecessary finger pointing between IT teams with fast and accurate root cause identification. Speed resolution of any application, network, or UC issue, while using the security forensics capabilities of GigaStor to identify whether a breach has occurred and what resources have been compromised. GigaStor together with Apex and GigaFlow are perfectly suited for SecOps and NetOps teams to address today’s hybrid IT environment challenges whether performance or security related. Back-in-time functionality means never having to wait for a service anomaly to repeat before resolving. Use the GigaStor calculator to estimate what size is right for your organization. Its flexibility and storage capacity made Observer GigaStor Portable the logical choice on which to standardize our network practice. For additional resources, visit: Network Performance and Enterprise Performance Management. To stay ahead of surging traffic volumes, VIAVI has developed a new third-generation capture card that incorporates the latest in integrated circuit and bus technologies to support network speeds up to 100 Gb. To keep up with the packet deluge, the Gen3 is back-ended with an optimized and accelerated analytics engine to capture, analyze, index, and encrypt traffic as well as generate metadata in real-time. GigaStor supports line-rate 1, 10 Gb, and 40 Gb ingress network capture performance, ensuring total transaction visibility and intelligence. Tuned hardware-software design, with an advanced GigaStor accelerated analytics engine, achieves simultaneous line-rate capture and the fastest packet capture mining in the industry for nearly instant network traffic awareness. Sift through more than a petabyte of data, perform analysis, and find the problem through root-cause analysis – minimizing downtime and end-user impact. From an enterprise-wide view, you can track bandwidth utilization, network Top Talkers, application metrics, and even VoIP quality statistics. Have more than one GigaStor? Multi-GigaStor Analysis allows you to extract and combine data from numerous appliances into one console. This provides a consolidated view of all GigaStor data, making visualization of the entire network path simple. GigaStor appliances are built on custom-configured foundation, tuned to deliver the best packet capture, analysis, and reliability in the industry. Available in 2U and 4U enclosures or an exclusive portable formfactor for fast, take-anywhere troubleshooting. GigaStor appliances are developed to support five years of uninterrupted, 100% duty-cycle, line-rate capture without dropping a single packet for the ultimate in network conversation visibility and peace of mind. GigaStor makes collaboration between the network, operations, and security teams simple. It captures and stores all network conversations for later analysis and reporting, making it ideal for augmenting existing real-time security solutions and for satisfying compliance objectives. GigaStor not only shows conversations, it can reconstruct the mined data – providing evidence such as phone conversations, web pages, instant messages, and emails while also allowing security teams to determine which assets were compromised. GigaStor works seamlessly with the Analyzer console for Expert Analysis, trending, alerting, and more. 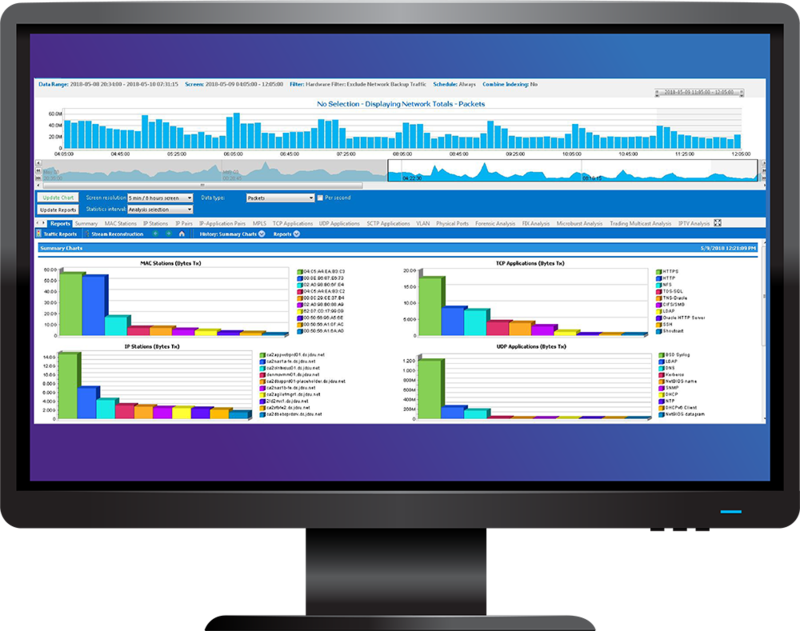 Analyzer helps network and operations teams understand packet flow across the network and its impact on service health, while GigaStor adds back-in-time capabilities so that packets can be stored and reviewed if needed, ensuring no sporadic application abnormalities or security threats are missed. Observer GigaStor appliances can be easily mounted in a standard rack unit. By utilizing the Observer nTAPs included, you can insert and remove a GigaStor from the network without disruption of flow. GigaStor works together with Apex or Analyzer for in-depth analysis. GigaStor Software Edition (GSE) is designed to provide all the analytics and back-in-time capabilities of the appliance with the added flexibility of deployment in nearly any Windows environment. Ideally suited for monitoring virtualized east-west server traffic as a VM instance, in the cloud or deployed on a laptop for flexible troubleshooting anywhere from branch office to the data center core. Choose the right Observer GigaStor for your organization's size and needs. 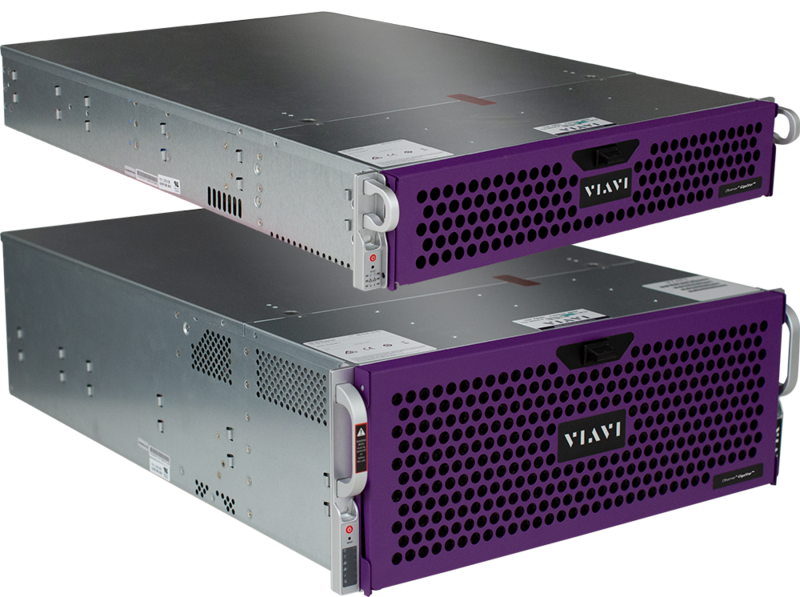 VIAVI offers multiple options in various form factors, network speeds, port counts, and capacities that range from 256 GB to more than a petabyte. For more information beyond the appliance summary shown below, review the tech specs, use the GigaStor Calculator, or contact a VIAVI Solutions sales expert. GigaStor rack-based appliances are available in 2U and 4U enclosures in a variety of capacities, port counts, and supported network speeds from 16 TB to 1.2 PB of data. For more details, please refer to the following table. The GigaStor Portable is the first self-contained performance monitoring and analysis solution. Count on it for troubleshooting network and application problems wherever they occur. Take GigaStor Portable with you anywhere to capture days of packet-level data, isolate network issues fast, and reconstruct data streams. Model specific details available here. GigaStor Software Edition (GSE) provides the analytics and back-in-time capabilities of the entire product family with the added flexibility of deployment in nearly any Windows environment. Ideally suited for monitoring virtualized east-west server traffic via installation on a VM instance, it can also be deployed on a laptop for fast troubleshooting anywhere from branch office to the data center core. Available in capacities from 256 GB to 64 TB. All Observer GigaStor appliances include a local Observer Analyzer Expert Edition console and can connect to any Analyzer Expert or Suite Edition. 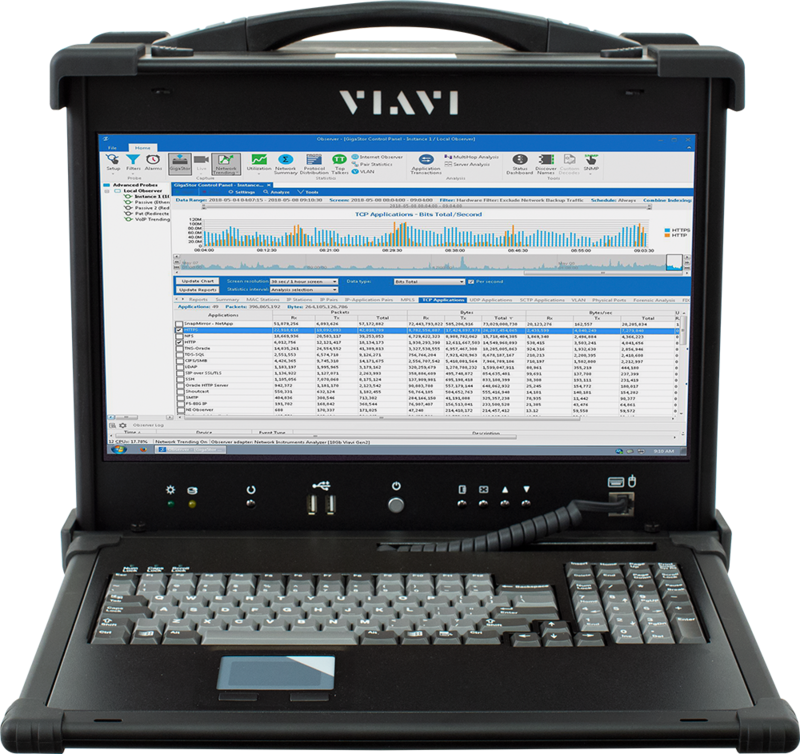 To ensure the highest performance packet capture and mining, all appliance and portable models use VIAVI Solutions in-house designed Gen3™ capture card. The appliances support gigabit, 10 Gb, 40 Gb, and 100 Gb network interfaces. GSE and virtual appliance are software-only products. GSE is available in multiple license choices, supporting 256 GB to 64 TB of storage. It’s a perfect choice for deployment within virtualized server environments to gain visibility into east-west vSwitch traffic, or on a laptop for back-in-time packet capture and analysis at the data center core, network edge, and beyond. GSE is identical in most ways to GigaStor hardware purchased from VIAVI. However, there are differences that exist due to GSE naturally lacking GigaStor hardware components like the capture card and high-performance RAID card(s). GigaStor Portable is a custom-designed appliance built to allow for flexible application and network debug, especially where a dedicated probe is not optimal. 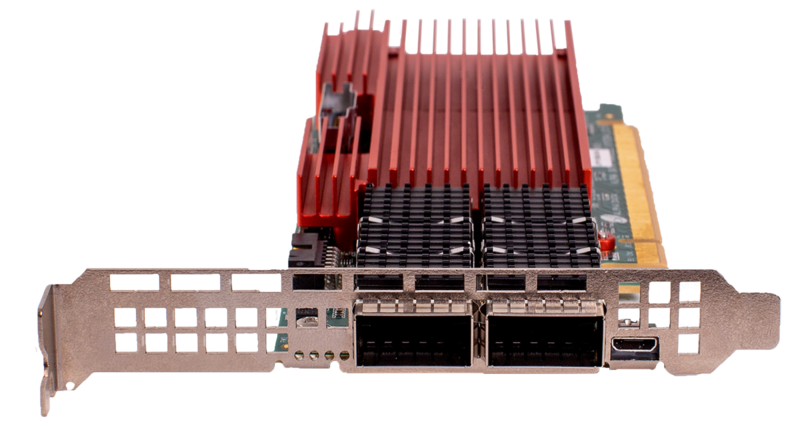 Its lightweight form factor makes it easy to quickly move around the data center or transport to a branch office. The GigaStor 2U models are available with four ports, one with gigabit network-only support, the other gigabit and/or 10 Gb. Storage capacities are 16 or 32 TB. Ideal for small/medium data centers or the network edge. GigaStor 4U models support various port counts and network speeds including an eight port for 1/10 Gb, two port 40 Gb, or two port 100 Gb configurations. Storage capacities begin at 96 TB and for select models, expansion JBODs can increase to 1.2 PB. Best for larger data center(s) deployments or anywhere that requires extended back-in-time capabilities. Capita Secure Information Solutions, Ltd.
With the Observer Platform, the ability to get an expert analysis relatively quickly is the best benefit., The capture is constantly running, so we can analyze any time we like without setting up extra equipment. The options that are available and the power of the product are amazing. We’ve solved more problems quicker with Observer than any other analyzing software we’ve had. I have found the Observer Platform to be an invaluable tool in diagnosing both application and network issues. 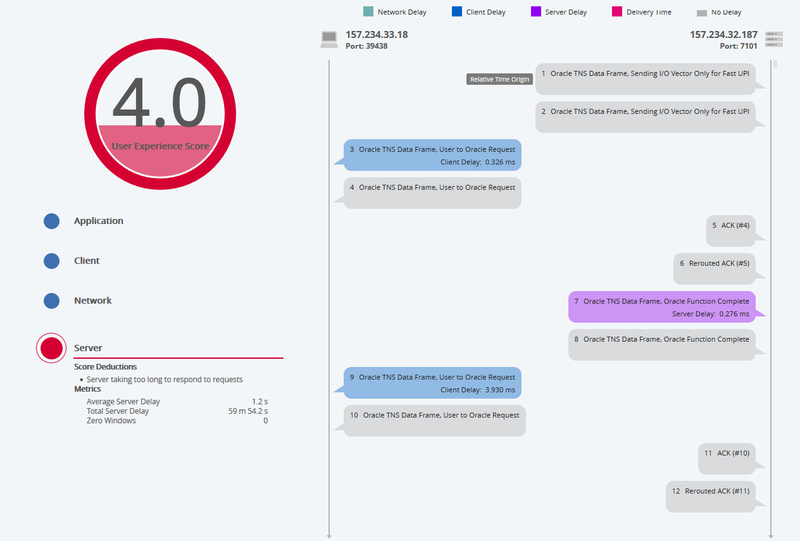 Observer Analyzer monitors unified communications (UC) deployments, network performance, applications, and troubleshooting on complex networks including VM environments. Observer Apex offers end-user experience scoring with seamless integration to GigaFlow enriched records and GigaStor transaction details to help IT teams achieve optimal service delivery. The Observer Management Server (OMS) UI features simple navigation to easily authenticate, control user access and passwords, administer upgrades, and streamline management from a single, centralized location. Cover your edge and remote network sites with Observer Probes. Monitor performance and aggregate across sites with GigaStor within Apex for broad visibility into resource health. When migrating to the cloud or ensuring hybrid IT performance, use Observer SightOps to get comprehensive visibility for multiple vendors, including AWS, Azure, and more.